We would like to answer the most frequently asked questions to ensure comfort and freedom of parking. 1. 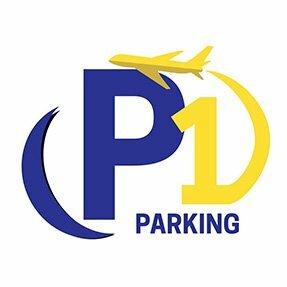 What does the service provided by Parking P1 look like? As part of the offered services, we provide a free transfer (both ways) to the Modlin airport taking place "on demand", i.e. directly after the client's arrival to the car park. The transport of customers along with their luggage takes place in a safe and comfortable way, and the cars are equipped with child seats. When you arrive at the car park, yourself or with the help of the P1 Parking service your luggage is put to the transfer car. P1 Parking employee indicates the location of your car. To order a return transfer to the parking, please call (+48 533 204 540) after picking up your luggage. The telephone number can be found on the confirmation of your car's admission to the parking. A P1 Parking employee will arrive to the parking under the airport terminal and will be waiting in the same place where you were dropped off on the day of departure. After returning to the car park, we return a car together with an invoice (if it was not picked up on arrival). 2. What is included in the parking price? Transfer by air-conditioned bus Parking P1 -> Modlin airport, Modlin airport-> Parking P1. Wi-Fi, car start-up, defrosting etc..
3. How much time before departure should you arrive at Parking P1? Check-in begins two hours before the scheduled departure, the transfer time from P1 Parking to Modlin airport is a maximum of 8 minutes. We recommend that you arrive at the P1 Parking minimum 2.5 hours before your flight departure – bo jezeli ktos przyjedzie tylko 2h, a bedzie kolejka na parking, za nim sie zapakuje wszystko, to moze byc ze nie zdarza na samlot. 4. How often does the transfer car run? The transfer car runs "on demand" and carries P1 Parking customers to the Modlin airport as soon as they arrive at the car park. If at the same time more than one car enters the parking lot, their passengers are transferred to the airport with one course. 5. Do I have to reserve a parking space? Booking a parking space is not necessary, but it is advisable. The reservation is free and guarantees that the place for your car will be prepared. Knowing the departure date, you can make a reservation at P1 Parking through the booking form or by phone. Reservation cancelation does not involve any fees. 6. How to make a reservation? 7. What if, after the reservation has been made, its data will change (number of people, date of arrival, car registration number)? Please contact the P1 Parking employee by phone (+48 533 204 540), by e-mail (biuro@parkingp1.pl) or via the contact form. Booking updates do not involve additional costs. 8. Can I cancel my reservation? Yes, in order to cancel the reservation and release the parking place, please contact the P1 Parking employee by phone (+48 533 204 540), by e-mail (biuro@parkingp1.pl) or via the contact form. Reservation cancelation does not involve additional costs. 9. How can you pay for parking? Cash or card (on arrival at PARKING P1) Invoices are issued for the parking service. If you need FV please provide your data during the booking ("additional information"), by e-mail (biuro@parkingp1.pl) or via the contact form. 10. What if your return is delayed? Please send a message via e-mail (biuro@parkingp1.pl) or sms (+48 533 204 540). The car will wait for the owner, while receiving the amount for the prolonged period of the above-mentioned price list will remain on the receipt.